Oktoberfest comes to Walnut Creek! There’s one event – a holiday, even, if you stretch that definition – that takes place each Fall that all adult should take part in. It’s not Thanksgiving. Not Halloween. It’s the German beer event known as Oktoberfest! The festival has become so popular, that pretty much every town has their own version. Even here in Walnut Creek, we have an Oktoberfest event, and it’s taking place this coming weekend! This year, it will be held at Civic Park from 11 a.m. to 6 p.m. You can head there to drink copious amounts of beer, eat great food, and meet fun people! This is the 4th annual Walnut Creek Oktoberfest and will span all 16-plus acres of the park. At the Walnut Creek event, there will be a Biergarten, Microbrews, gourmet food, live music, Autobahn and vendors. All ages are welcome to the Kids Zone but the beer areas will be the main draws. Best of all, tickets are FREE. Oktoberfest, of course, originated in Germany and is celebrated widely in cities like Munich and Berlin, where people dress up and stand on tables and drink beer all day. I actually had the pleasure of attending Oktoberfest in Munich back in my 20’s – lots of drinking, a carnival…and I really don’t remember much else. Walnut Creek’s isn’t quite as celebrated, but it’s still a good time! Hope to see you there – lederhosen and dirndls not required, but encouraged! Author KristinPosted on October 16, 2018 October 18, 2018 Categories Featured, Just for fun!, Walnut Creek, Walnut Creek EventsTags bay area, beer, Berlin, Civic Park, east bay, Festival, Food, free, Germany, Kristin Lanham, live music, Munich, oktoberfest, real estate, vendors, Walnut Creek, Walnut Creek Lifestyle1 Comment on Oktoberfest comes to Walnut Creek! Welcome back to the next installment of Event Round-Up! Below, you’ll find five of the best events around the Bay Area for the next few weeks. If you attend any, please let us know how they were – you may even be mentioned in a future blog! Look, if you’ve still never experienced Bay to Breakers in San Francisco, you’re truly missing out on a one-of-a-kind spectacle you can’t get anywhere else in the world. Take advantage of this “race” of usually around 100,000 people dressing up in ridiculous outfits, drinking mimosas, and enjoying the sunshine in the city. It’s an early start, but you can take part in the festivities without actually registering for the race. Be there tomorrow – you won’t regret it! This will be a super cool, unique event. The Bedford Gallery and City of Walnut Creek Public Art Department have a National Endowment for the Arts grant for a public art installation in Civic Park. It brings world-famous sculptor Patrick Dougherty to town and should continue to put Walnut Creek’s art on the map. 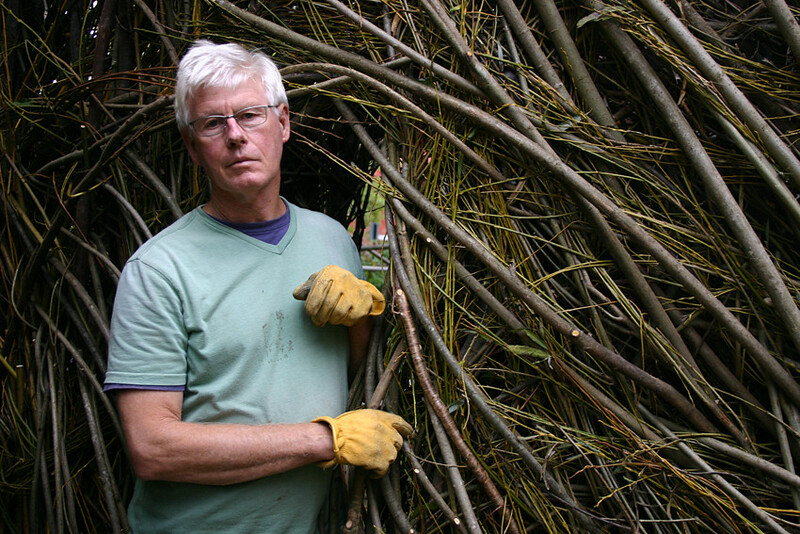 He plans to install a huge project made of woven willow saplings, and he’s calling for the public’s help volunteering to assist. The project has already begun and ends on May 26th, when there will be a free celebration in the park for your viewing pleasure! If you’ve ever wandered through The Mission District in San Francisco, you’ve probably eaten amazing Mexican food, stumbled upon a few mind-boggling murals, and then eaten even more amazing Mexican food. But it’s the middle thing we’re focusing on here, as you now have the chance to join a public, professional walking tour of the murals in The Mission. 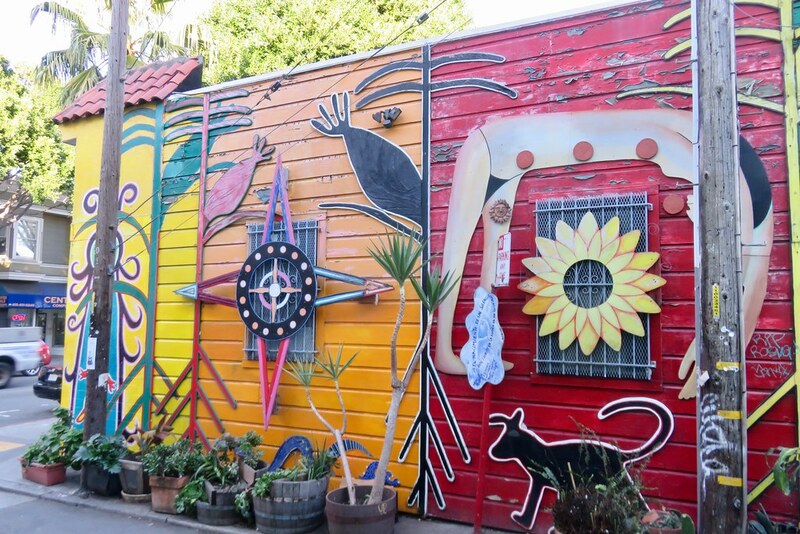 It will give you information, history and context around some of your favorite murals in The Mission. The tours are free, but the guides accept donations and tips! Cypress Street in downtown Walnut Creek will have a lot going for it on Wednesday, June 6th. That will be the next installation of the First Wednesday event that shuts down a whole city block and invites live music, dancing, food trucks, adult drinks, a Kids Fun Zone and games. There will also be a Chef’s Demo (in partnership with the Contra Costa Certified Farmers Market) and chances to win free prizes. You can park for free after 5 p.m. in all downtown garages that day, and the festivities last from 5:30 to 8:30 p.m. I can’t recommend it highly enough – it’s always a great time! Similar to First Wednesday (only bigger, better and more famous – sorry Walnut Creek! ), the Haight Ashbury Street Fair will take place a few days later in San Francisco. This fair has been around for decades and seems to get better every time I go. There is a ton of live music, the best food, drink and craft vendors around, and – as is typical with any event in San Francisco – a TON of people. As if you need an excuse to enjoy one of the city’s most famous neighborhoods on a beautiful day, go check out the Haight Ashbury Street Fair! April events to mark on your calendar! Believe it or not, it’s already almost April! As the calendar turns from winter to spring, Diablo Magazine has provided a few awesome ideas for local events in the Bay Area next month. An Australian duo who put on “the world’s naughtiest magic show,” complete with illusions and comedy. Adults only! More than 50 local breweries, live music and food trucks from all over the East Bay? Yes, please! You can choose from a 5K, 10K, 1/2 marathon and a 50K. Partial proceeds go to Save Mount Diablo! You can get a cool perspective on Claude Monet’s early period of work, covering his evolution to Impressionism at the SF Legion of Honor. Leave a comment if you know any other fun things to do next month! Author KristinPosted on March 28, 2017 March 27, 2017 Categories Current events, Featured, Walnut Creek, Walnut Creek EventsTags 10K, 5K, April, Australian, Bankhead Theater, Bay Area Craft Beer Festival, breweries, calendar, Claude Monet, Diablo Magazine, Diablo Trails Challenge, events, food trucks, Impressionism, Kristin Lanham, Legion of Honor, live music, livermore, marathon, Martinez, Monet, Mt. Diablo, Naked Magicians, proceeds, real estate, San Francisco, Save Mount Diablo, Spring, The Early Years, Walnut Creek Lifestyle, waterfront, winterLeave a comment on April events to mark on your calendar! Ah, the long-anticipated three-day weekend that everyone looks forward to at the end of summer: Labor Day is upon us! Whether you’re spending the last weekend of summer at a BBQ, up in Tahoe or just having a staycation at home, it’s a great chance to relax with family and friends and soak up some rays before the long trek into winter begins. Broadway Plaza parties: L’Occitane and Tommy Bahama’s are among the stores that are celebrating their grand re-openings in the newly refurbished downtown shopping district. Great excuse to get out, check out the remodel and shop ’til you drop! “Nuts About Rio: Faster, Higher Stronger” is this year’s theme for the annual Labor Day Aquanuts synchronized swimming show at Heather Farm Park. Beer and wine will be sold at the 47th annual event, which celebrates the recently-completed Olympic Games. The Walnut Creek Concert Band will be putting on a Labor Day Park Concert show at 6:00 p.m. on Monday, September 5th. According to the U.S. Department of Labor, the first Labor Day was observed on September 5, 1882. An estimated 10,000 workers gathered for a New York City parade organized by the Central Labor Union. Unions were very important back then, but think now about our labor force of freelancers and entrepreneurs and how it’s changing! Millennials are much more apt to live the “Google life” now, where all their food, health and leisure amenities are literally in the offices with them. Or, they freelance! My freelance writer left a cushy job in P.R. to work on his own schedule with his own clients and he joked earlier that “every day is Labor Day for him if he wants it to be!” Funny how things have changed. Beatles Band, Food Trucks and Downtown Walnut Creek! Walnut Creek’s downtown has ample amounts of activities: dining, shopping, people watching and celebrating. One way to engage in all of these is to join the Walnut Creek Downtown’s First Wednesday. Recently extended through June of 2016, the first Wednesday of every month, come celebrate, eat dinner and enjoy downtown Walnut Creek from 5pm – 8pm. Located on Cypress St. between N. Main and Locust. The roadway becomes pedestrian friendly, food trucks adorn the curbside and entertainers keep the energy alive. Come taste the treats of Ceviche & Co or Lexie’s Frozen Custard to name a few. Beer & wine are also available for purchase along with cotton candy and snow cones – mid-summer treats! Enjoy a few residents of Lindsey Wildlife experience and flora and fauna from The Ruth Bancroft Garden. This Wednesday July 1st come out and celebrate while dancing in the streets to the Rubber Soles, a Beatles Tribute band. If this isn’t tempting enough, there will be shiny vintage cars from the ’50’s and ’60’s to gaze upon. Hope to see you out there! Author Jeremy DornPosted on June 29, 2015 Categories Featured, Walnut CreekTags food trucks, live music, Walnut CreekLeave a comment on Beatles Band, Food Trucks and Downtown Walnut Creek!